Supply chain optimization isn't just a matter of ensuring efficiency and expediency. It can be a matter of life and death when customers are unable to obtain pharmaceuticals and other products that contain ingredients people need to overcome health emergencies. Such is the situation for pharmacies, many of which are experiencing severe shortages of EpiPens that individuals use to overcome extreme allergic reactions to certain substances. "The FDA warned about the EpiPen shortage in May." In May, the U.S. Food and Drug Administration issued an alert that was widely reported by numerous news outlets regarding the relative unavailability of EpiPens. Sold by Mylan, a subsidiary of the pharmaceutical giant Pfizer, EpiPens contain epinephrine, a naturally occurring hormone that when injected can counter the effects of anaphylaxis. 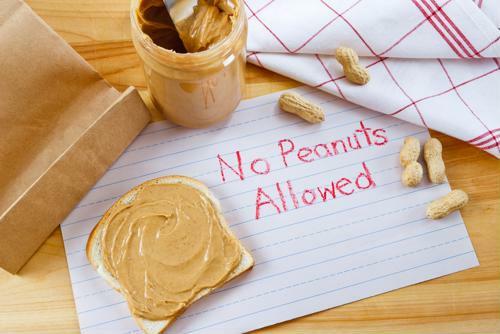 When not treated swiftly, anaphylaxis can result in death due to the extreme symptoms that result from allergic reactions to foods like peanuts, wheat, soy and shellfish, among others. Because there are several generic versions of the EpiPen, they're still available for purchase, but they can be hard to find in large quantities, an issue that's come to the fore now that schools are back in session. Julie Cook, a mom of two teenagers with severe food allergies, told The Wall Street Journal that she's devoted a lot of time and effort to the search, but has come up empty, being told by her pharmacist that refills wouldn't be available for several weeks. "It's so frustrating," Cook explained. "Why is this happening in August? What's going on? And what's going to happen in the future?" EpiPen scarcity to last for long. But several months removed, the shortfall persists, an issue that California resident Tory Palenscar realized in August while preparing his 7-year-old daughter with food allergies for the school year. "I started panicking," Palenscar told the Journal, alluding to when her pharmacy didn't have the lifesaving devices. She was able to find a pharmacy that still had EpiPens available farther away from her home but is eager to buy more. Complicating matters further is that the generic equivalents of EpiPens aren't necessarily used like the originals. The Food Allergy Research & Education made this reality apparent via social media messages in the aftermath of the FDA's May announcement and now devotes a portion of its website to helping consumers understand the differences. The shortage isn't exclusive to the U.S. either. As reported by BBC News, its affecting the United Kingdom as well, also due to manufacturing complications that haven't been detailed with specificity. The Department of Health, which serves as the equivalent to the U.S. Department of Health and Human Services, said developers are seeking to "resolve the supply situation as quickly as possible" and advised patients to "speak to their doctors about using an alternative adrenaline auto-injector device." Meanwhile, back in the States, the FDA has been in close contact with manufacturers to ensure that the distribution supply chain avoids serious disruptions and improve supplier relationship management.